In case you haven't realized it yet, we are in the midst of summer and nothing screams summer like camp outs, bonfires, and barbecues. For that reason, I have compiled some of the BEST meals that you can make right on your grill/fire pit! We are taking a trip out to California in a couple weeks & are planning a beach camp out for one of the nights. Of course, we are going to need to eat, but I've grown tired of the classic 'smores and hot dogs routine. 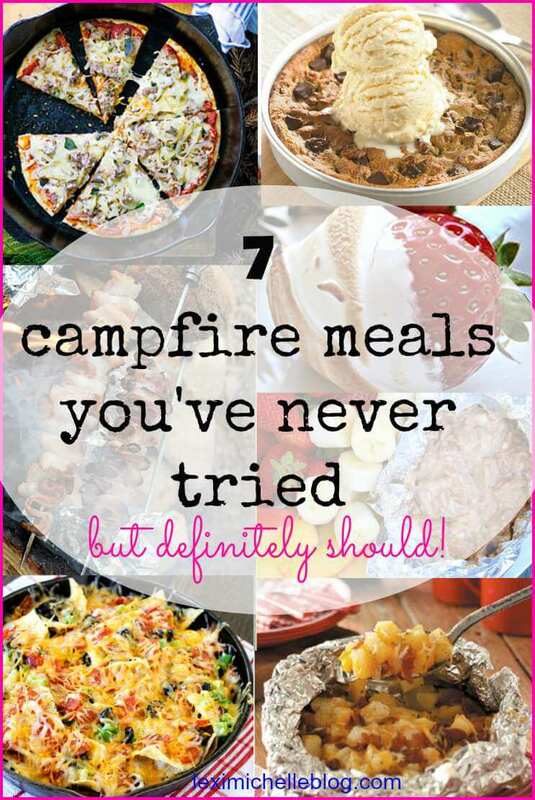 If you have too, scroll down and, trust me, you will be pleasantly surprised with these creative takes on camping food. With bacon, the possibilities are endless! You can have it with your eggs, put it in an omelet, on a burger, on a pizza or even just eat it plain. With all this versatility, no wonder it's everyone's favorite! Well no worries! You don't have to go without any longer! 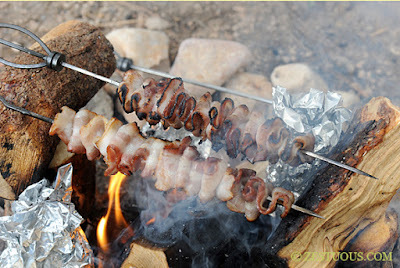 Zestuous.com has come up with an ingenious way to roast bacon easily, safely, and deliciously via skewer. So load up that bacon & let's go camping! 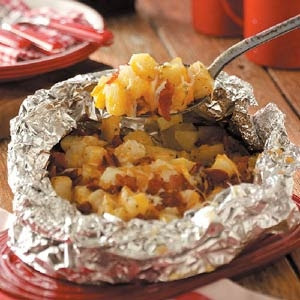 What would a campfire be without a cheesy potatoes recipe? Take a look at the ingredient list and you will agree that these potatoes are packed with flavor! And it's made in a foil packet! Which means easy clean up! 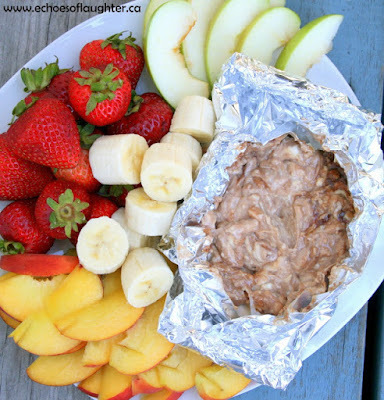 I don't know about you, but I could definitely see myself enjoying this alongside some delicious grilled steak! Who doesn't love pizza? And the best part--it's completely customizeable! Pick whatever toppings you want! That means no having to compromise on a pizza that you're not totally in love with! 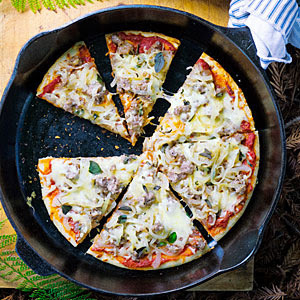 And if you've checked out my post on my summer bucket list, you know making a pizza is something I need to do this summer so that made it an easy choice for our camp out. I saw this recipe and I just couldn't resist. 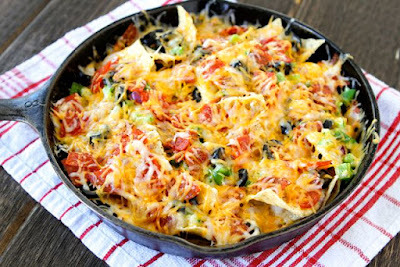 Nachos? Over the campfire? I never would've imagined! Now, the original recipe has these cooked in the oven, but seriously, take that skillet on the road and you've got an great, incredibly unique campfire meal! I just recommend doing all the dicing beforehand and putting the ingredients in a ziplock bag until you're ready to cook it. This is a great twist on the classic roasted 'smores. Also, with it being strawberry season, any recipe featuring this delectable fruit is a must! Like I said before, anything with strawberries is a winner, but this? Imagine dipping those strawberries into a cheesecake dip. Now what do you have? Strawberry chocolate cheesecake! At a camp out! Plus it's completely customize-able; any fruit will work! So pack up your favorites and enjoy this decadent treat while you sit next to the campfire with friends and family. Through all the research I've done gathering the best campfire recipes, it has come to my attention that if you can cook it in an oven, you can definitely cook it over a fire. So why not get creative with your desserts? 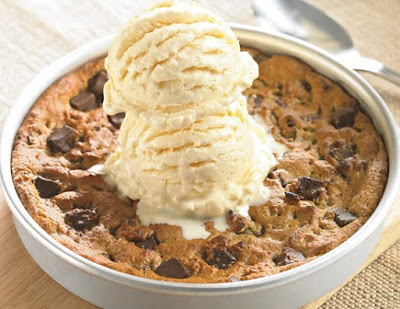 A pizookie is definitely the way to go. And, if you're not wanting to mess up your cake pan, they make disposable cake pans that would be perfect! I actually have 2 of these and we've had them probably about 3 years now. I love this because it's affordable, and really just makes it easier to cook just about anything over a fire. I hope you all have a great cook out! 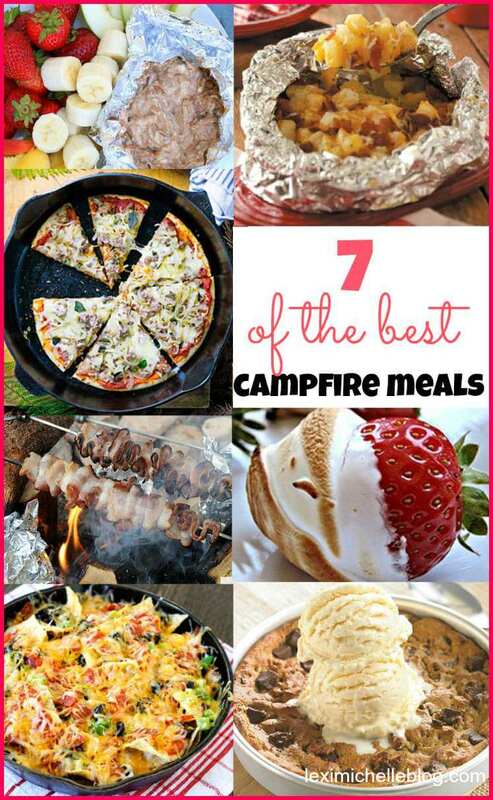 Comment below some of your favorite campfire meals! I'd love to hear them! Thanks for including our Three Cheese Grilled Potatoes recipe. It is one of our favorite campfire recipes too! 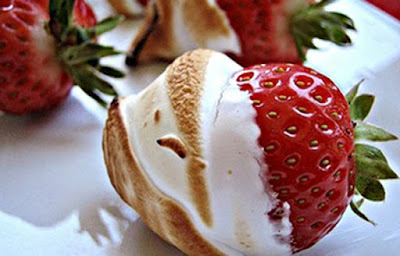 That strawberry with toasted marshmallow looks delicious! 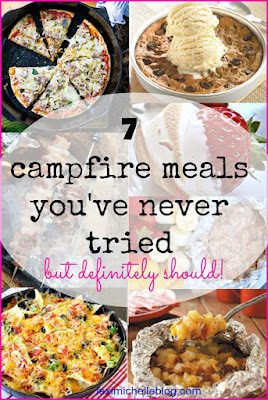 I might have to start camping just to try some of these! Pizza Nachos? Fire Roasted Marshmallow Covered Strawberries? Yes please. Yes! Some of these I had never heard of until I did a little digging. Definite winners. Thanks for stopping by! I love the bacon idea! We are going to do a backyard campout and these would be fabulous. Thank you for stopping by! These would be perfect for your camp out! 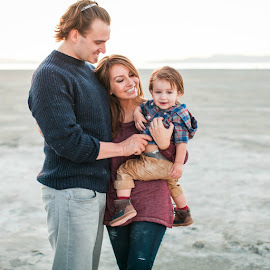 let me know if you end up trying any!